Give your fall wardrobe a great new look with this Mens Shirt Jacket from Tahari. VE 8786 features a full zip front with snap placket and casual collar. Zippered hand pockets and patch chest pocket. Double snap adjustable sleeve cuffs. Vented under the arms. Dot your I~s in the Dottie pump! Fabric and patent leather upper. Slip-on construction. Pointed toe. Man-made lining. Lightly padded insole. Man-made outsole. Imported. Measurements: Heel Height: 2 1 2 in Weight: 8 oz Product measurements were taken using size 8, width M. Please note that measurements may vary by size. Weight of footwear is based on a single item, not a pair. Make the Toby a staple in your footwear collection. Comes in a variety of upper materials. Slip-on construction. Pointed toe silhouette. Synthetic lining and footbed. Wrapped post heel. Synthetic outsole. Imported. Measurements: Heel Height: 2 3 4 in Weight: 7 oz Product measurements were taken using size 9, width M. Please note that measurements may vary by size. Weight of footwear is based on a single item, not a pair. 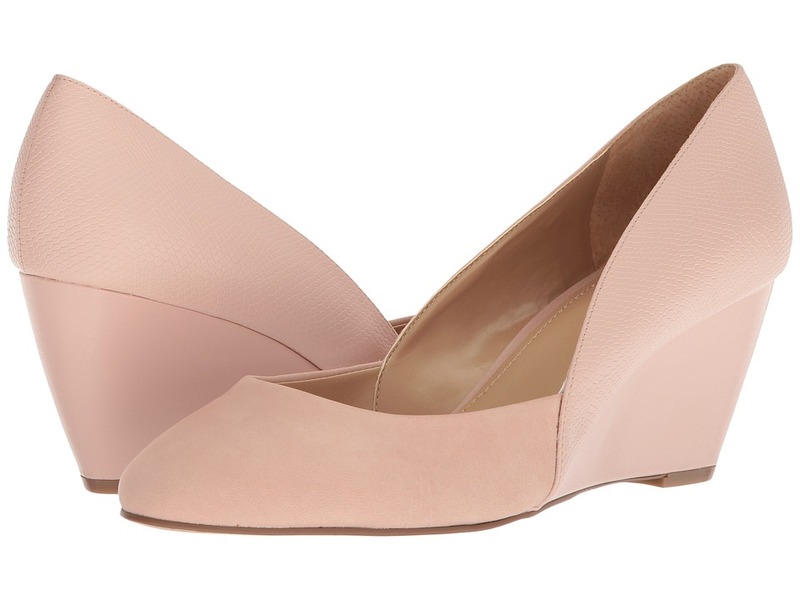 Top off your everyday look with the stylish Tahari Palace wedge pump! Mixed leather upper features an embedded snakeskin pattern. Easy slip-on wear. Round toe. Leather lining. Lightly-padded footbed. Covered wedge heel. Synthetic outsole. Imported. Measurements: Heel Height: 2 3 4 in Weight: 10 oz Product measurements were taken using size 9, width M. Please note that measurements may vary by size. Weight of footwear is based on a single item, not a pair. 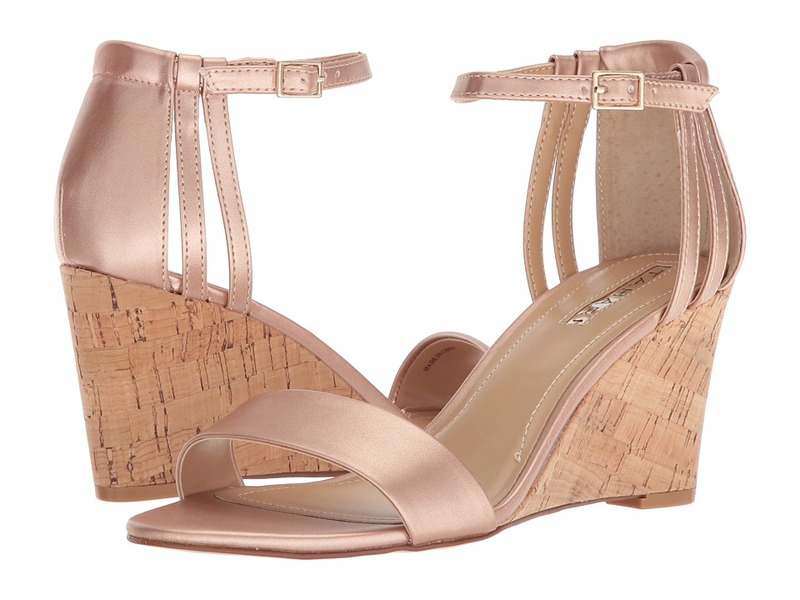 Take your wardrobe to new heights with this always on-trend Tahari wedge sandal. Nappa leather or suede upper depending on colorway. Ankle strap with adjustable buckle closure. Round-toe silhouette with single vamp strap. Man-made lining. Lightly padded insole. Wedge heel. Man-made sole with synthetic heel-tap. Imported. Measurements: Heel Height: 3 in Weight: 7 oz Product measurements were taken using size 7.5, width M. Please note that measurements may vary by size. Weight of footwear is based on a single item, not a pair. Comfort meets luxury in the Tahari Pandora slip-on flat. Suede or textile upper depending on colorway. Slip-on design. Almond-toe silhouette. Tie accent at vamp. Man-made lining. Lightly padded footbed. Low, stacked heel. Man-made sole. Imported. Measurements: Heel Height: 3 4 in Weight: 7 oz Product measurements were taken using size 7.5, width M. Please note that measurements may vary by size. Weight of footwear is based on a single item, not a pair. 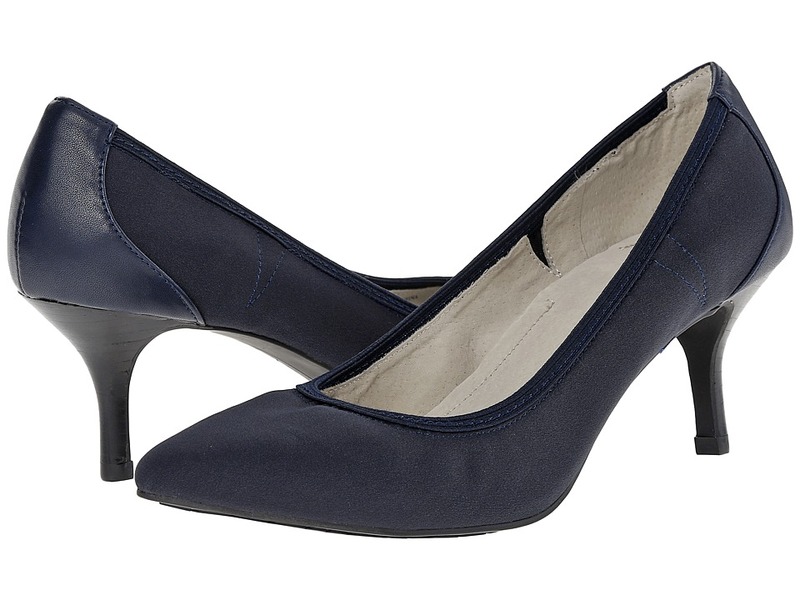 Put a fashionable foot forward this fall with the versatile Tahari Amara pump. Premium suede upper. Slip-on design. Almond-toe silhouette. Man-made lining and insole. Lightly padded footbed. Wrapped block heel with metallic inset detail. Man-made outsole. Imported. Measurements: Heel Height: 2 in Weight: 9.968 oz Product measurements were taken using size 9, width M. Please note that measurements may vary by size. Weight of footwear is based on a single item, not a pair. 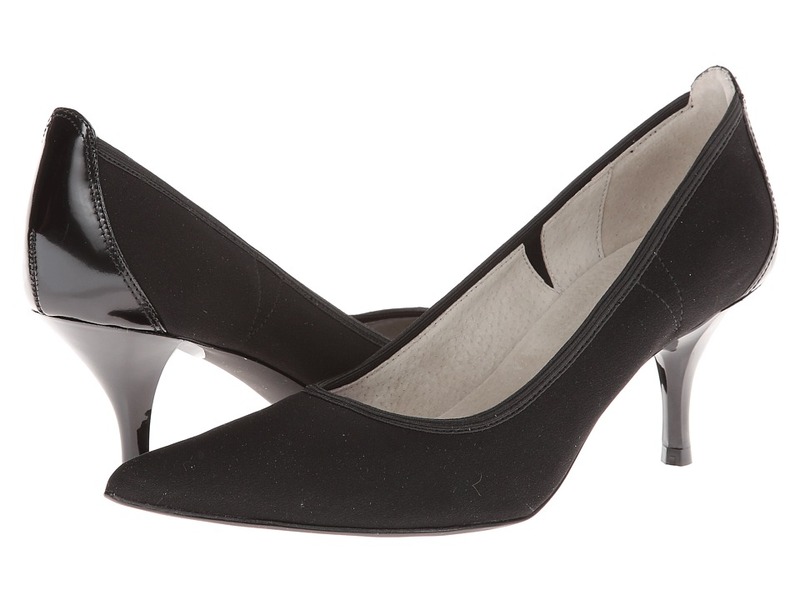 Polish your professional style with the smart lines of the Tahari Gayle slingback pump. Suede or leather upper depending on colorway. 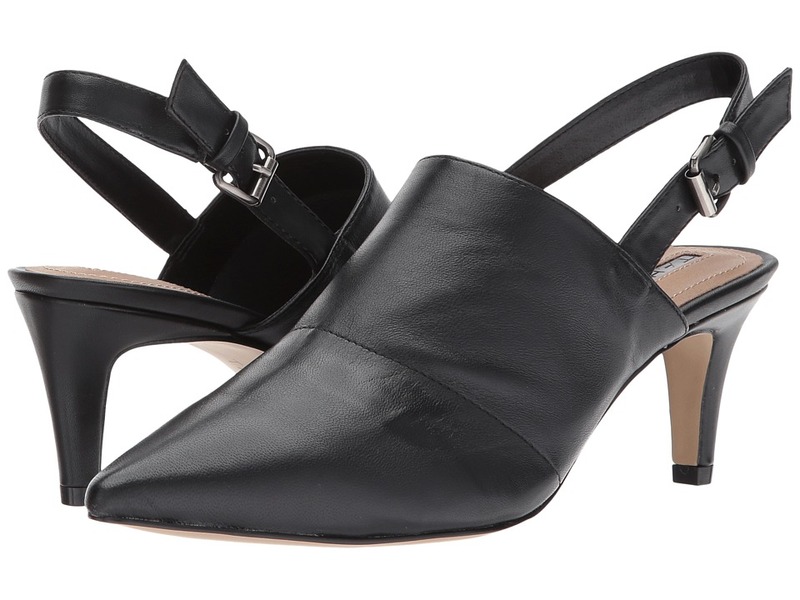 Slip-on wear with slingback buckle strap. Point-toe silhouette. Tonal stitch detail at vamp. Synthetic lining and insole. Wrapped kitten heel. Synthetic sole. Imported. Measurements: Heel Height: 3 in Weight: 8 oz Product measurements were taken using size 8.5, width M. Please note that measurements may vary by size. Weight of footwear is based on a single item, not a pair. 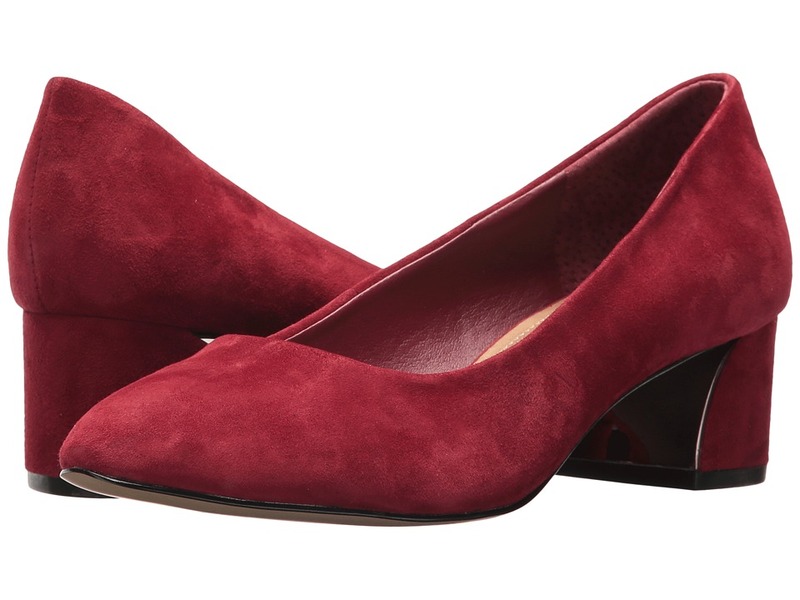 Perfect your polished silhouette in the finely finished Tahari Lois loafer. Premium patent leather upper. Slip-on design. Round-toe silhouette. Metallic link detail at vamp. Leather lining and footbed. Stacked heel. Man-made sole. Imported. Measurements: Heel Height: 1 1 4 in Weight: 11 oz Product measurements were taken using size 8.5, width M. Please note that measurements may vary by size. Weight of footwear is based on a single item, not a pair. Top off your everyday look with the stylish Tahari Post bootie! Supple suede upper. Slip-on design. Round, open-toe silhouette. Leather lining. Lightly-padded footbed. Stacked tapered heel. Synthetic outsole. Imported. Measurements: Heel Height: 3 in Weight: 12 oz Product measurements were taken using size 9, width M. Please note that measurements may vary by size. Weight of footwear is based on a single item, not a pair. 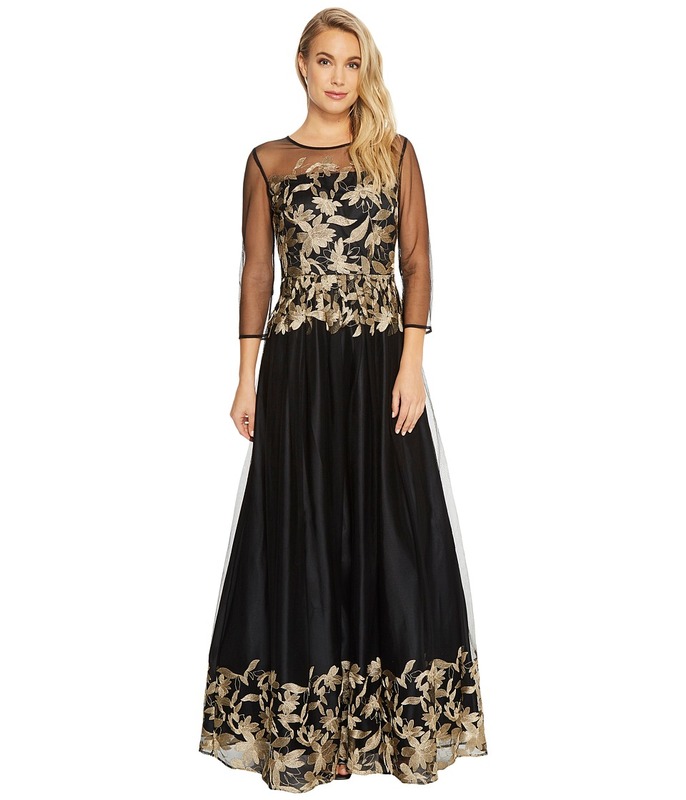 Stand out at your next event in this Embroidered Mesh Ballgown. Gorgeous embroidery throughout a mesh-nylon fabrication. Ballgown in an A-line silhouette. Illusion neckline. Sheer yokes and three-quarter sleeves. Defined waist. Concealed zipper closure at back. Lined. Floor-sweeping straight hemline. Shell:100 percent nylon Top lining: 97 percent polyester, 3 percent elastane Skirt lining: 100 percent acetate Skirt lining: 100 percent polyester. Dry clean only. Imported. Measurements: Length: 57 in Product measurements were taken using size 4. Please note that measurements may vary by size. 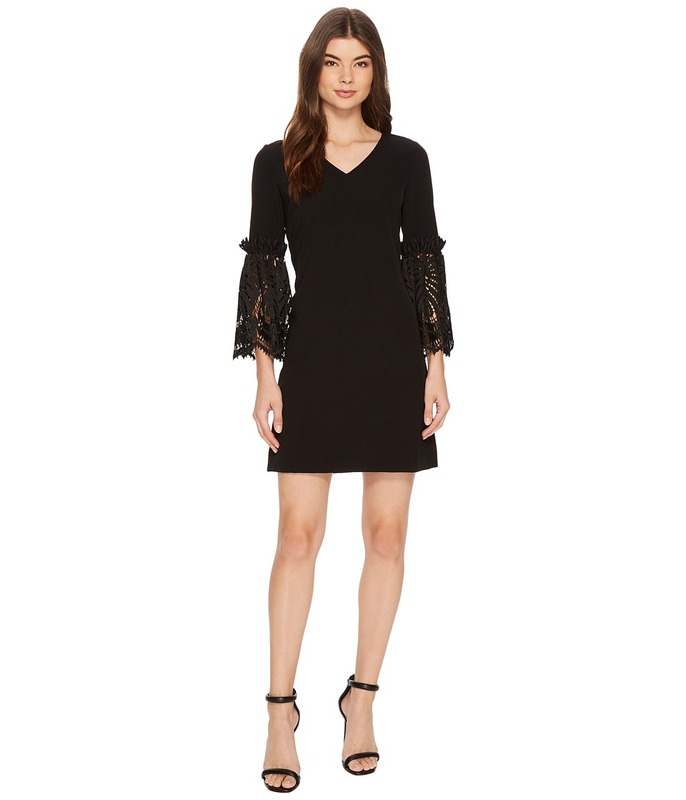 Command attention in this Petite Lace Bell Sleeve Shift. Shift silhouette. Stretch-poly fabrication features gorgeous lace at cuffs. V-neckline. Long bell sleeves. Concealed zipper closure at back. Straight hemline. 95 percent polyester, 5 percent elastane. Dry clean only. Imported. Measurements: Length: 34 in Product measurements were taken using size 2. Please note that measurements may vary by size. Stand out against the rest in this Flocket Velvet Dotted Sheath. Sheath silhouette. Dotted design on a velvet fabrication. Faux-leather trim at round neckline. Short sleeves. Exposed zipper closure at back. Lined. Straight hemline. 94 percent polyester, 6 percent elastane Faux: 100 percent polyurethane Lining: 100 percent polyester. Dry clean only. Imported. Measurements: Length: 36 in Product measurements were taken using size 2. Please note that measurements may vary by size. Shine brighter than the rest in the Ombre Sequin Sheath Dress. Sheath silhouette. Allover shimmering sequins in an ombre design. Round neckline. Short sleeves. Zipper closure at back. Lined. Straight hemline. 97 percent polyester, 3 percent elastane Lining: 100 percent polyester Combo lining: 97 percent polyester, 3 percent elastane. Dry clean only. Imported. Measurements: Length: 36 in Product measurements were taken using size 2. Please note that measurements may vary by size. 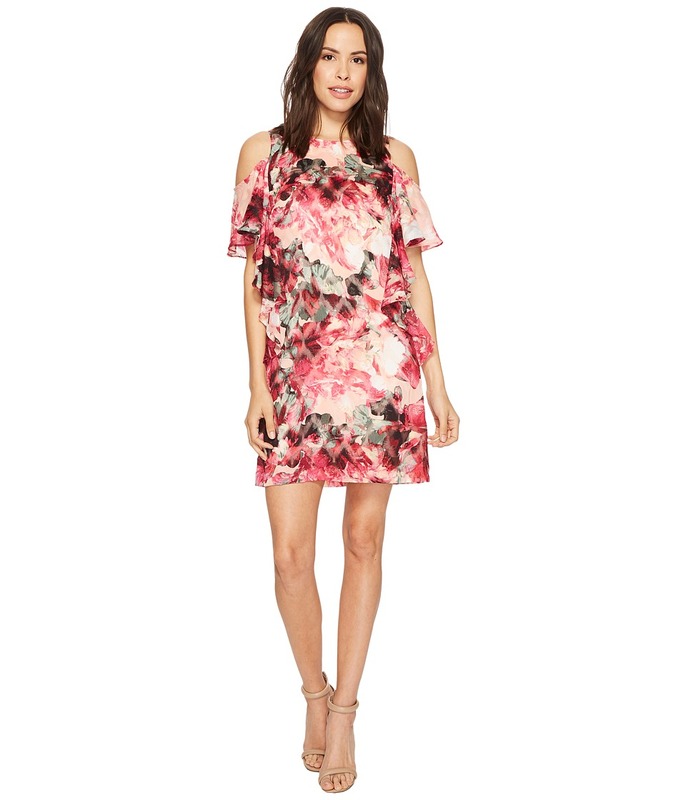 Your style will be in full bloom in the Cascade Ruffle Printed Shift Dress. Shift silhouette. Floral print on a stretch-poly fabrication. Round neckline. 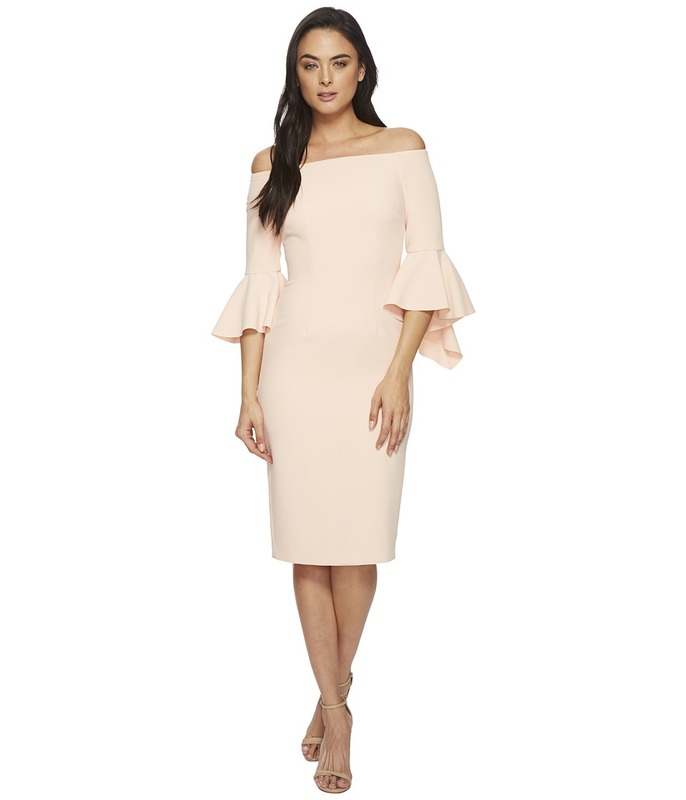 Fluttered sleeves with cold shoulders. Cascading ruffles down side of bodice. Zipper closure at back. Lined. Straight hemline. 95 percent polyester, 5 percent spandex Shell 2: 100 percent polyester Lining: 97 percent polyester, 3 percent elastane. Dry clean only. Imported. Measurements: Length: 36 in Product measurements were taken using size 2. Please note that measurements may vary by size. 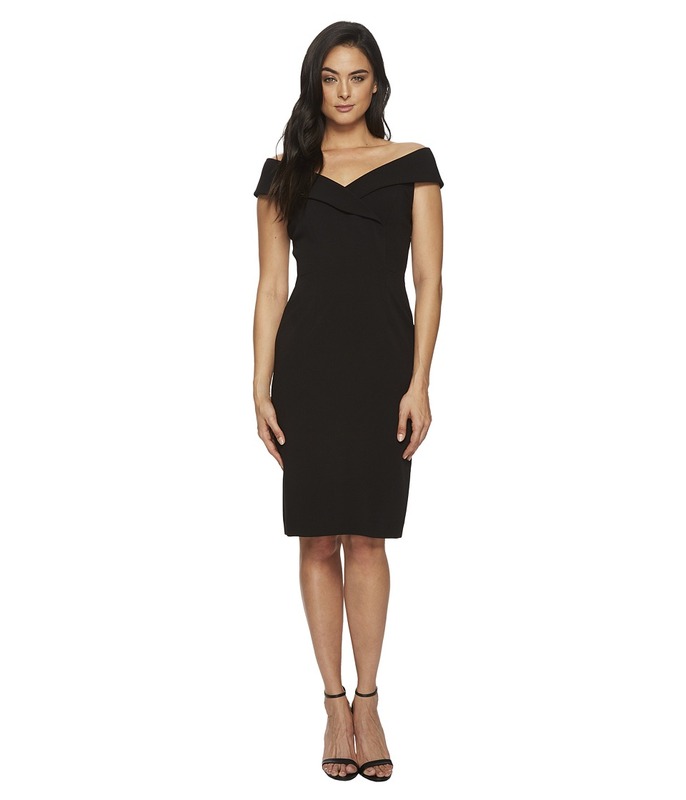 Go from office to happy hour in this Off Shoulder Sheath Dress. Sheath silhouette. Solid colorway on a stretch-poly fabrication. Off-the-shoulder neckline. Cap sleeves. Inner silicone taping at bodice for a flattering shape. Concealed zipper closure at back. Lined. Straight hemline. Back vent. 95 percent polyester, 5 percent elastane Lining: 97 percent polyester, 3 percent elastane. Dry clean only. Imported. Measurements: Length: 40 in Product measurements were taken using size 2. Please note that measurements may vary by size. Command attention in this Statement Sleeve Sheath Dress. Sheath silhouette. Solid colorway on a stretch-poly fabrication. Off-the-shoulder neckline. Three-quarter sleeves with fluttered cuffs. Concealed zipper closure at back. Lined. Straight hemline. Back vent. 95 percent polyester, 5 percent elastane Lining: 100 percent polyester. Dry clean only. Imported. Measurements: Length: 41 in Product measurements were taken using size 2. Please note that measurements may vary by size. Turn heads from every direction in this stunning Tahari by ASL Novelty Embroidery Illusion Neck 1/2 Sleeve Dress. 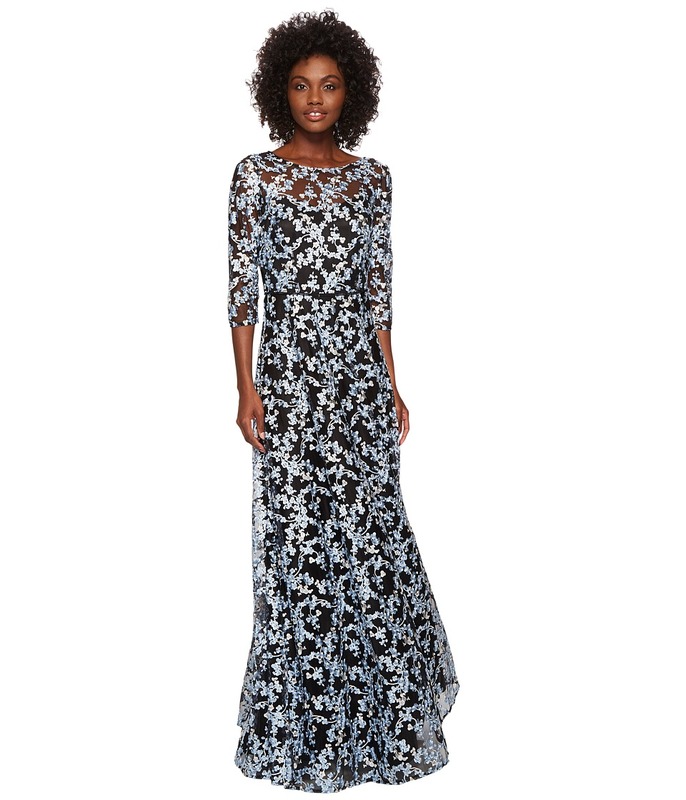 Half-sleeve formal gown in a column silhouette. Breath-taking embroidery on a poly fabrication. Illusion neckline and V-shaped back. Concealed zipper closure at back. Fully lined. Floor-sweeping straight hemline. 100 percent polyester Embroidery: 100 percent nylon Lining: 100 percent polyester. Dry clean only. Imported. Measurements: Length: 62 in Product measurements were taken using size 4. Please note that measurements may vary by size.